The majadito is a dish that originates in eastern Bolivia. The name of the dish refers to the battered flesh, in Bolivia we call “majau” or “crushed”. 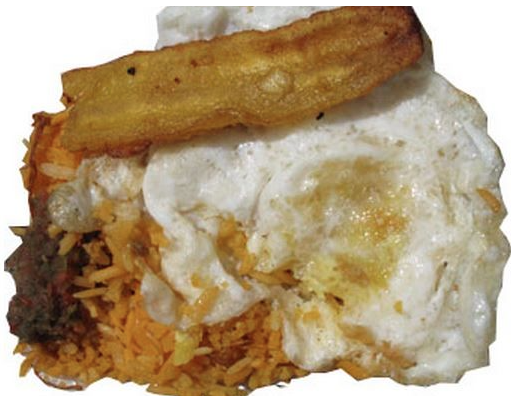 This dish is prepared from rice with jerky (dehydrated meat, beaten into a wooden mortar: Tacú), fried eggs and fried plantains. 1kg. jerky (dried beef with salt). In a separate pan, fry the onions, scallions, bell pepper, tomato and red dye. When everything is cooked, mix the rice with meat and vegetables.